​We are a caring family that treasures each person, no matter their age or ability. We are outward facing, always looking for opportunities to invite new people into fellowship. We love and serve the Lord, each in our own way. We are growing in faith, deepening in worship and prayer. with well-kept property, healthy finances and effective administration. We are currently under direction of the Presbyterians. 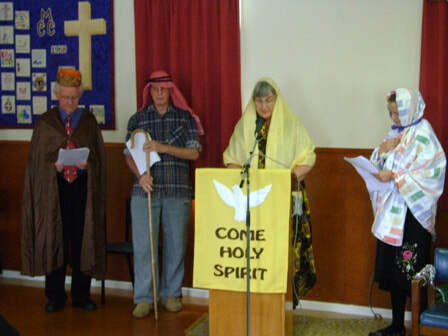 Our services are relaxed with a good deal of congregational participation. We enjoy both hymns and modern songs. Parish Review Our review has been completed and we attach our latest profile agreed at the ​Special Meeting held on Sunday 7th August 2016.